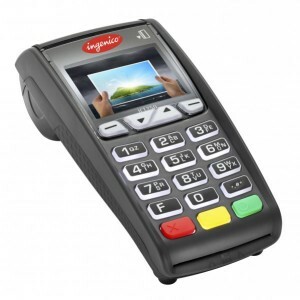 Ingenico’s iCT250, the innovative payment countertop device that is so smart, it stands alone, in even the most demanding retail environments. SKU: ICT250. Category: Ingenico. Tag: Terminal/Printer. Lightweight, stylish and self-contained, the iCT250 is the rugged countertop device that gives your merchant customers the freedom to accept all existing forms of electronic payment – including contactless, EMV, and mobile (NFC-based) – unrestricted by any other POS limitations. 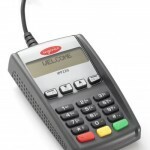 That’s because the iCT250 requires absolutely no interface with a cash register or POS system. All functions – from payment processing and receipt printing to settlement reporting and brand enhancement programs – operate from a single, secure, easy-to-use color device. 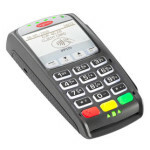 The iCT250 is fully EMV and PCI PTS V3 certified and supports the latest international security algorithms, so customer transactions are fast, private, efficient and secure. That means even the smallest shop can benefit from Ingenico’s global leadership in secure payments processing.